“That’s lower than the 2013 polio immunization rates for 1-year-olds in Zimbabwe, Rwanda, Algeria, El Salvador, Guyana, Sudan, Iran, Kyrgyzstan, Mongolia and Yemen, among other countries, according to data from the World Health Organization,” Seattle public radio station KUOW reports. This in the same state where a woman recently died of measles, marking the first U.S. death attributed to the disease in over a decade. Contact the author at rtgonzalez@io9.com. 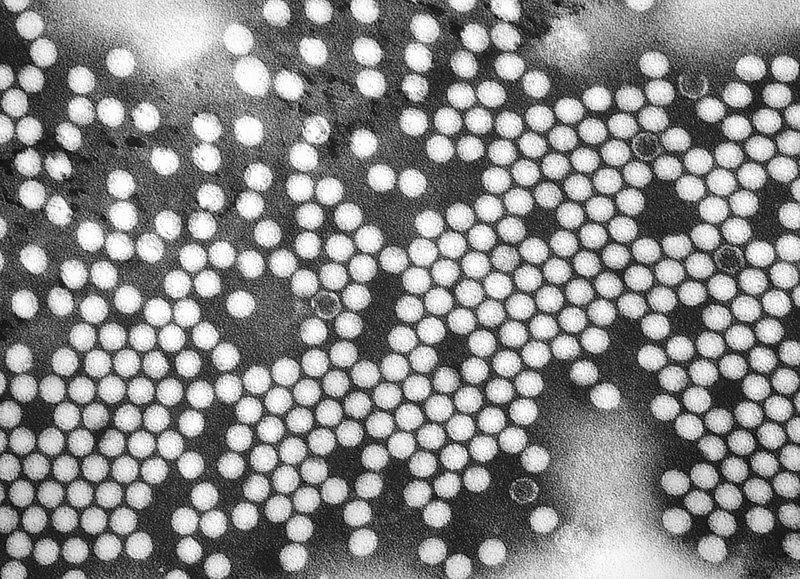 Above: Electron micrograph of the polio virus | Credit: CDC.